This year has been packed with local and international travels. 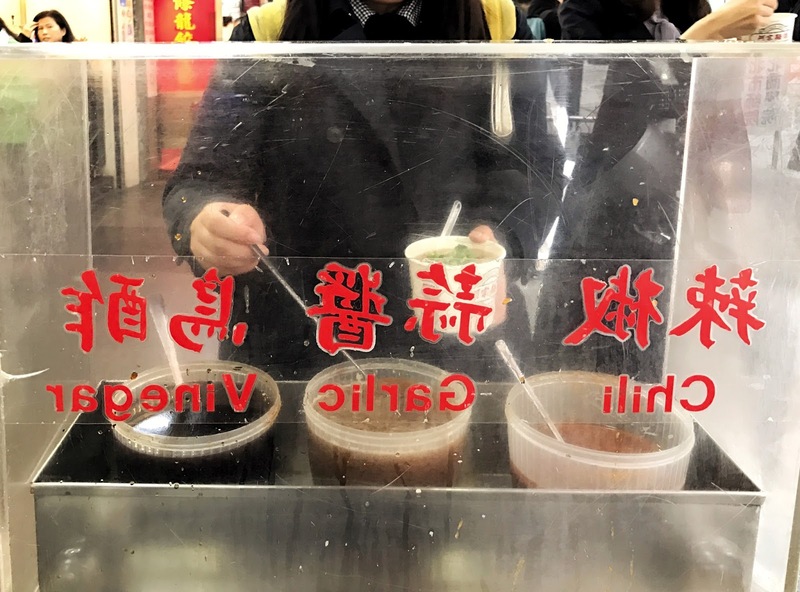 I've seen so many places and indulged in a lot of great dishes which made me gain extra pounds. I'm not complaining though as I loved every moment (and bite of it)! 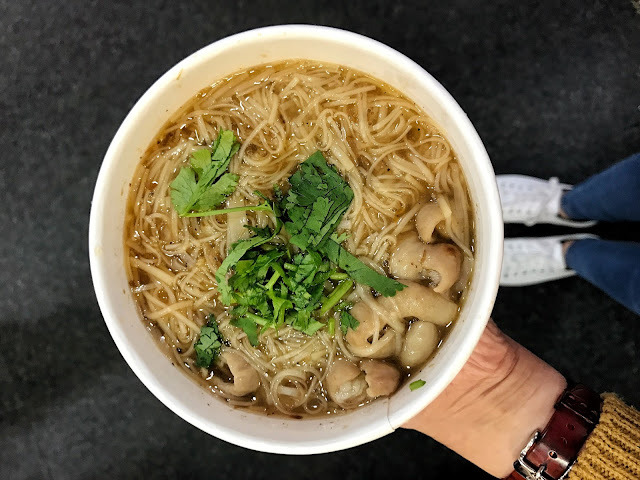 And one of my favorite finds this year is this famous Taiwanese dish you can find in one of the many streets of Ximending. 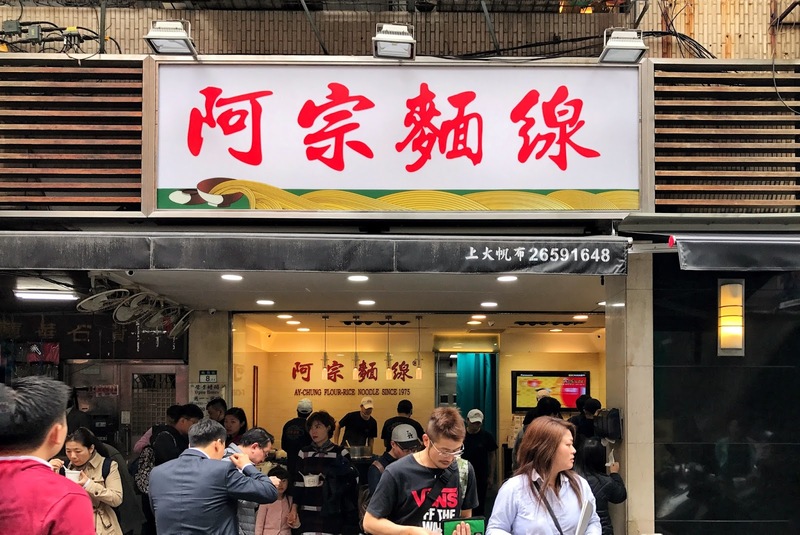 We've passed by this famous Ximending spot not knowing that it offers one of the must have street food in Taiwan. Its busy vibe lured us in and since it was very cold and drizzling that day, we opted to get one. 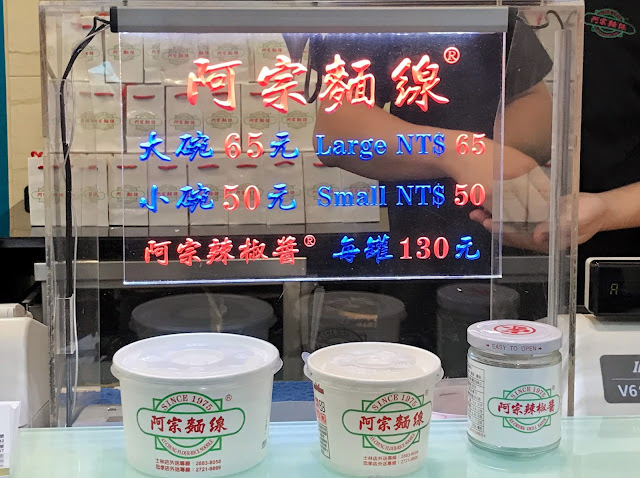 We figured a small bowl (NT$50, large NT$65) would suffice thinking we'll be stuffing ourselves with other street food finds. As we pay for our bowl, I noticed its logo and realized that I've seen it somewhere. And true enough, it was featured by Lady Iron Chef. And that's when I got really excited and thought we made the wrong move getting the small bowl. Service was very fast as our bowl was served pretty much after we got our change. The bowl of vermicelli noodles (or mee sua) and intestines were scrumptious! Make sure you add one or all of the sauces on the side. We went with vinegar and garlic. The line became crazy long when we finished but service remained consistent as people come and go. Well, you wouldn't really want to linger around as there are no tables or chairs giving it worthy of the title street food. I was also impressed with how the customers kept the place clean. 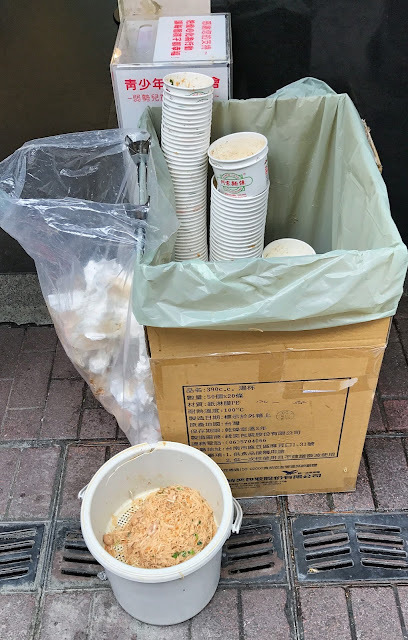 They stack the empty bowls properly and dispose the leftover noodles in a bin. I wish we could practice the same in Manila. 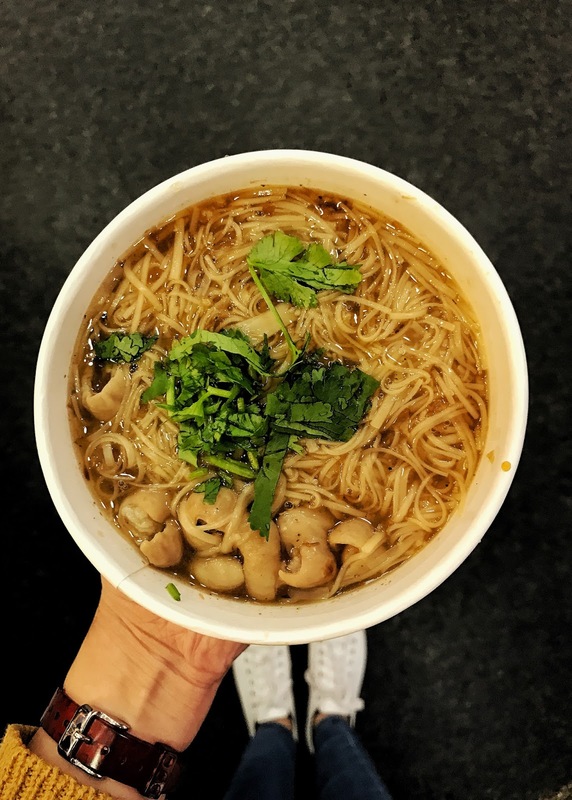 I would definitely visit Ay-Chung again and order a large bowl next time! 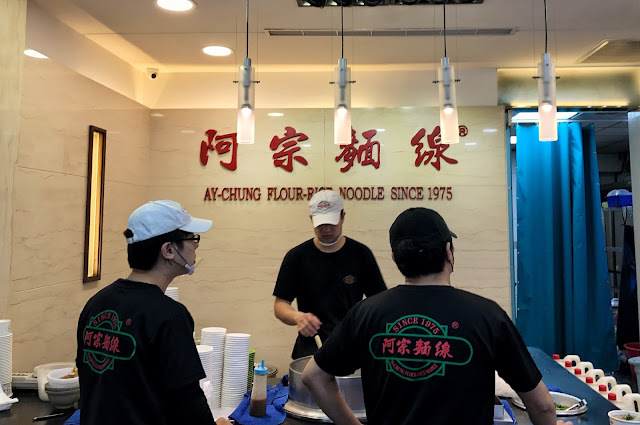 Ay-Chung Flour-Rice Noodle is locatedat No. 8-1 Emei Street, Taipei Wanhua District, Taipei City (East XMD Pedestrian Area, Xi Meng Ding Station Exit 6). It is open from 10 a.m. to 10:30 p.m. on Mondays to Thursdays and 10 a.m. to 11 p.m. on Fridays to Sundays.